Surely you have heard of the “superfoods” such as food resources to add a concentrate of nutrients to the diet and even enjoy various benefits. However, many of these foods are exotic, hard to get and have a high cost, therefore we show six ‘superfoods “that are at your fingertips. Berries Goyi, oysters, exotic roots and many other foods more high nutritional quality are part of the “superfoods” today, however, its great promotion has made them sought-after ingredients and therefore a high price and less accessible nowadays. Chia seeds : very good nutrients to offer among which the supply of calcium, iron, magnesium, and potassium vegetable proteins. In addition, it can be used to replace more thickeners or starch concentration as egg substitute in vegan diets. This seed is a food of high nutritional value and interesting properties that we can get a variety of accessible and herbalists price, large shopping centers and houses of supplements. Quinoa : This pseudo cereal plant has lots of protein and fiber is also good source of iron and healthy fats, which represents a food with valuable properties and benefits that currently can get easily to add nutrients to the diet. Green Tea : is an excellent source of antioxidant polyphenols and has been proven to improve fat oxidation, it promotes weight loss and can help prevent cardiovascular and degenerative diseases. This infusion is easily achieved today already have features worthy of a “superfood”. Brewer’s yeast : is a natural multivitamin that also offers a variety of minerals, antioxidants and unsaturated fats. Given the high concentration of nutrients, just add a teaspoon of this “superfood” that we all know, we can get a big change in the quality of our dishes. 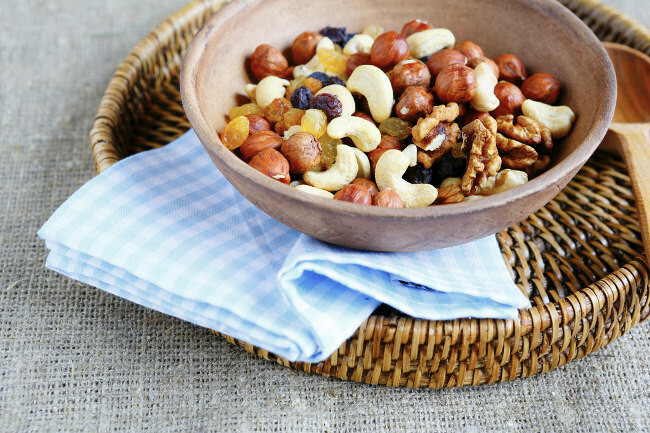 Nuts : they are a concentrate of healthy nutrients for the body such as potassium, calcium, magnesium, vitamin E, phosphorus, fiber, vegetable protein and good quality fats therefore all nuts incorporated in small amounts can be very help to enrich our diet easily. Savoy cabbage or kale : although many do not know, the kale is just kale, a not so hard to get it can offer very food good nutrients and great benefits to the body, so this may be another “superfood “easy access to help us add antioxidants, vitamins, minerals and fiber to our diet. As we can see, we can find ” superfoods ” concentrated in nutrients and varied benefits just around the corner, it is not necessary to go to those ingredients whose marketing encourages us to their consumption but which, despite having valuable properties, are difficult to obtain and possess a high price, as there are many other foods with similar characteristics and easily accessible.